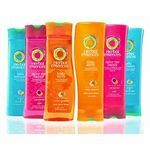 This Conditioner along with the Shampoo is Amazing..
After I wash my hair with the shampoo (in the same line) I use the conditioner and to make sure that all my hair is saturated with the conditioner. I always leave in conditioner on longer than what it says because my hair is so thick and long. I received a lot of comment on how good my hair smells and they ask me what do I use. Effectiveness Not only does it protect your color, it leaves my hair so soft and shiny. The Paul Mitchell color protect daily conditioner is great for use on color treated hair. 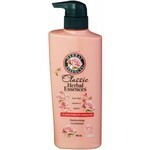 This conditioner is gentle enough for hair if it is damaged from dying it. It leaves your hair feeling soft and looking shiny. This shampoo does not weigh down hair at all. I hAve very dry and damaged hair and the Paul Mitchell color protect daily shampoo works very well with it. I had been using the shampoo forever and it was great, but using "THE Conditioner" instead of this one. When I ran out of The Conditioner, I switched to this one and like several other people have commented, it made my hair waxy and greasy and impossible to do anything with. I have very long, thick, beautiful dark colored hair and having it greasy and waxy makes it look very gross. I usually only wash my hair every 3-4 days but with this stuff it's impossible to go that long between washes; I feel like I have to wash it twice a day. YUCK! Now I have to figure out how to get it back to normal. This conditioner does it all and does it all WELL! ***Quick View:*** This conditioner leaves my hair soft, shiny, and protected. My color lasts longer and my hair looks healthy. ***My Take on Paul Mitchell Color Protect Daily Conditioner *** I mentioned in my review of [Paul Mitchell Color Protect Daily Shampoo] that my stylist recommended the two after she colored my hair. I was worried that, because this conditioner is not sulfate free, that it would strip the color from my hair but she assured me it wouldn't and she was right. I bought a huge bottle of the shampoo and a smaller one of the conditioner in a dual pack. My stylist said that I didn't need much of the conditioner and the larger shampoo should run out at the same time as the smaller bottle of conditioner. I was leery. I usually use three times the amount of conditioner than shampoo. This conditioner comes in several sized bottles. It smells great and is creamy white. I really do only need a small amount to condition my colored, highlighted, and heat styled hair. I was battling damage for a long time and then I went and added color to it all. But my hair looks great. It is soft and shiny and I see no signs of damage. It isn't weighed down at all. And best of all, **Paul Mitchell Color Protect Daily Conditioner** protects my color and helps to extend it. I don't want to pay a fortune to have the color run down the drain. I do believe this shampoo and conditioner together work well to prevent fading. This conditioner is fine for daily use. It isn't too heavy or greasy but may be if it is overused. You really only do need a small amount. I have long hair, mid back length right now and I usually slather on the conditioner. I don't with this one and don't have to. So far so good for this conditioner! ***My Viewpoint*** **Paul Mitchell Color Protect Daily Conditioner **works well for my hair. I have dry ends and have colored, highlighted and heat styled my hair into oblivion. This conditioner protects my color and conditions my hair without weighing it down. It's also concentrated so I need much less than other conditioners to do a good job. I like it a lot. ***4 stars. *** : http://www.viewpoints.com/Paul-Mitchell-color-protect-daily-shampoo-review-43dc19 Effectiveness My hair now looks great. It is soft and shiny and I see no signs of damage. It isn't weighed down at all. And best of all, Paul Mitchell Color Protect Daily Conditioner protects my color and helps to extend it. Scent This has a pleasant, generic scent that is fresh but nothing special. This is by far the worst conditioner I have ever used. I went to the salon last week and had my hair cut and colored, the stylist swore by this shampoo and conditioner so I purchased it. Every time I use this conditioner it leaves my hair greasy and waxy feeling, it is so bad that I have been wearing my hair up all week to try and hide the greasiness. I am putting the conditioner on my hair and rinsing out immediately and it just is gunking my hair up so bad that I cannot stand it. I have never had this happen before with conditioner and I have tried it for a week and will be returning to the salon today to exchange it for something that works for my hair. So bad I cannot use it! I tried this conditioner for three days before I decided it works so bad for me, I just cannot use it. It does not make my hair feel nice, soft and conditioned. In fact, it leaves such a nasty residue that I cannot do anything with my hair! I tried using everything to bring it back to being soft and shiny after using this conditioner, but it leaves such a grimey, waxy residue that I can't get anything to work afterwards. It feels like it just adds to the build-up. Also, my hair feels so dry and scraggly.. yuck! It took my hair a few days to recover after using this conditioner!! I have had to do some major conditioning and leave-in conditioning to recover from this. I am not happy to write a bad review for Paul Mitchell, because I usually love this brand. I just want to warn others that you may want to reconsider trying this conditioner. Although the conditioner is so bad I couldn't use it anymore, I do think it smells fantastic!! It smells so good & it left my hair smelling good ALL day. So sad!! Paul Mitchell Color Protect Conditioner does the trick! Paul Mitchell Color Protect Daily Conditioner works really well. It keeps hair feeling silky and smooth even after colring products dry your hair out. Its replenishing ingredients give life and shine to the color, making it pop. 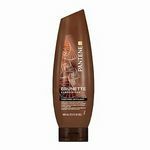 It is definantly expensive, but is worth the money to keep hair silky soft and keeping the color looking great. 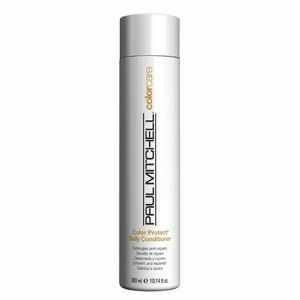 Paul Mitchell Color Protect Daily Conditioner works very well. Paul Mitchell Color Protect Conditioner is not worth the money. I bought this conditioner because I have salon-dyed hair and I wanted to make sure that I used a professional product to help maintain my color. But Paul Mitchell's Color Protect Conditioner is a disappointment. The product does not smell very good at all -- almost like a cross between unscented and chemical-ish. 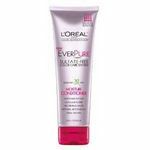 I use it in conjunction with the Paul Mitchell Color Protect Shampoo and I find that my hair is dry and limp, and yet still somehow a bit greasy. Go figure. I don't shampoo my hair everyday, so on days that I use this conditioner by itself, my hair looks extra-greasy. For the price of this product, I'd expect it to at least work better than cheap, drugstore brands! Since I've used other products on my hair before, I know this is not simply my hair's fault and must have something to do with Paul Mitchell. I recommend Artec's Kiwi Color or anything in the Aveda line, as they moisturize well and make my poor hair look and smell wonderful. About the product: **DETANGLES AND REPAIRS****Detangles and Repairs **- Instantly detangles and smoothes while vegetable proteins, amino acids and panthenol strengthen and moisturize color-treated hair**Protects **- Sunflower extract protects the structure of the hair, provides UVA and UVB protection and helps prevent hair color fade**Moisturizes and Adds Shine** - A powerful combination of conditioning agents and extracts provides ample moisture and intensified shine This conditioner did a grreat job of making my hair feel soft, adding a touch of shine and detangling it. The parts that aren't so great is that the scent is not very good...just alright. Also, it makes my hair feel waxy and weighed down. Just about every morning I wake up, shower, blow dry my hair and flat iron it. Once I got to the flat iron stage I would comb my hair through with my fingers and at the roots and in the middle of my hair it would feel waxy and even slightly greasy. I couldn't stand it...it felt disgusting. Final thoughts: I don't know how well this conditioner does at helping protect color treated hair, I couldn't use it long enough to find out.